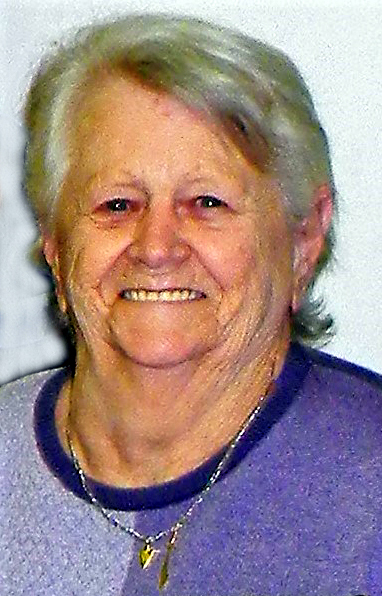 Obituary for Jackie (Dugan) Mortvedt | Hanson & Dahl Funeral Home, Inc.
Jackie Mortvedt died on Thursday, February 7, 2019, at Johnson Memorial Care Center in Dawson, MN at the age of 91. Memorial services will be held later this spring. Arrangements are with Hanson & Dahl Funeral Home in Dawson. Jacqueline (Dugan) Mortvedt was born April 21, 1927 to Harry & Theresa (Auer) Dugan in Austin, MN. She attended and graduated from Austin High School in 1945. She then went to the Franklin School of Nursing in Minneapolis. After completion of nursing, she came to work in the Dawson Hospital. On June 27, 1948, she married Lane Mortvedt of Dawson, in Austin, MN. From this union one daughter, Bonnie (Mortvedt) Hersom was born. Jackie worked mostly part time at the hospital for the next 20 years. In the early 70’s she was head nurse at the nursing home for about 4 years, Jackie loved to travel. Some of her travels included; Ireland, Alaska, Hawaii, Holland, & all 50 states. She loved to play Bridge with friends anytime and anyplace she could. She belonged to the VFW Auxiliary, Order Eastern Star, and Grace Lutheran Church. She is survived by daughter, Bonnie Hersom of Dawson, grandchildren: Brian (Jody) Hersom of Dawson, and Lisa (Rick) Knapper of Clara City; great-grandchildren: Ethan, Landen, and Tahlia Hersom; along with other family and friends. Preceding her in death were her parents; husband Lane (Shine); sisters: Patsy Strand of Las Vegas, NV, Sally Ann Hamberg of Albert Lea, MN; and brother, Terry Dean Dugan of Fort Myers, FL.